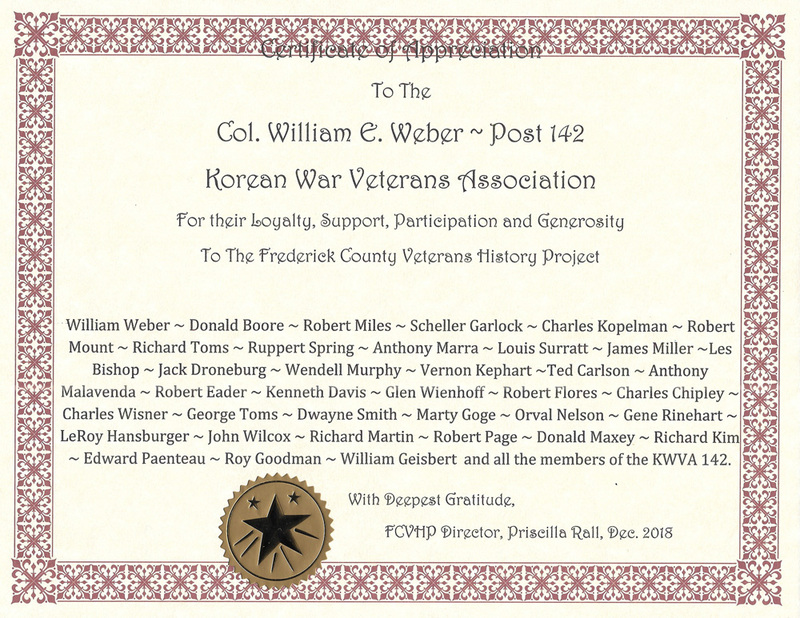 December 1 2018, during a Frederick County Veterans History Project (FCVHP) luncheon, Priscilla Rall, FCVHP Director, thanked Chapter 142 with a Certificate of Appreciation for their participation in the project and the Chapter pledged $1,000 in funding for 2019. 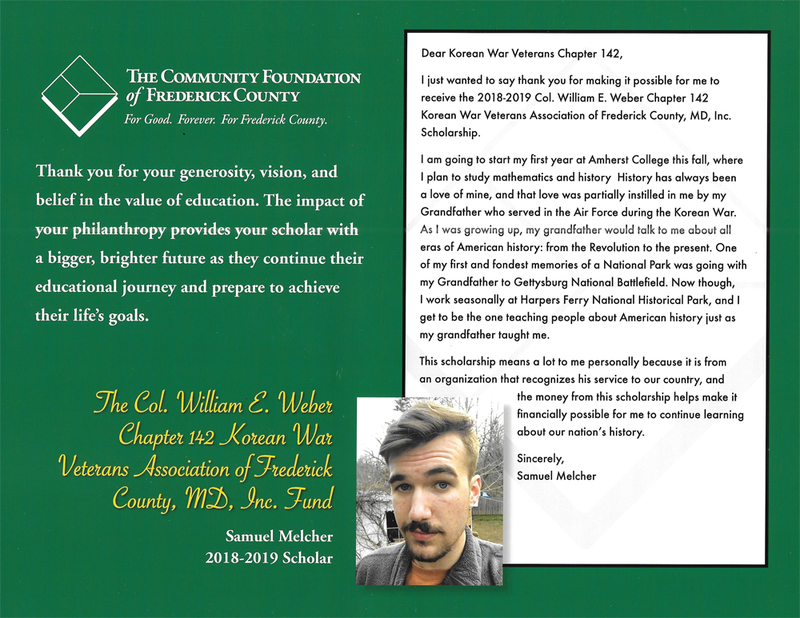 The FCVHP is in partnership with the Library of Congress Veterans History Project in an effort to record first-hand knowledge from veterans, civilian supporters and family members living in the Frederick County, MD region. 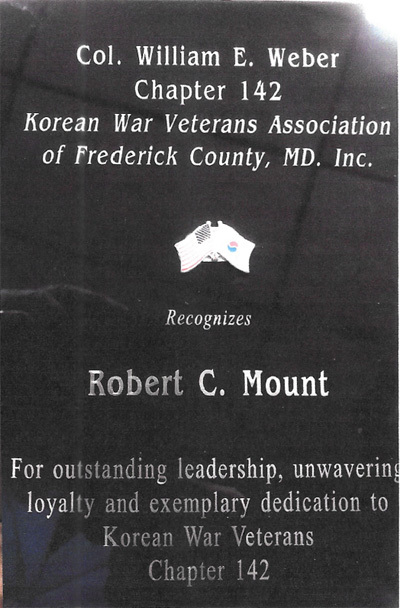 The Chapter's participation insures the Korean War will not be forgotten. 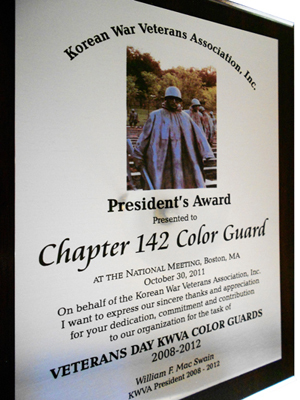 Each year Chapter 142 awards two scholarships for higher education to descendents of Korean War veterans. 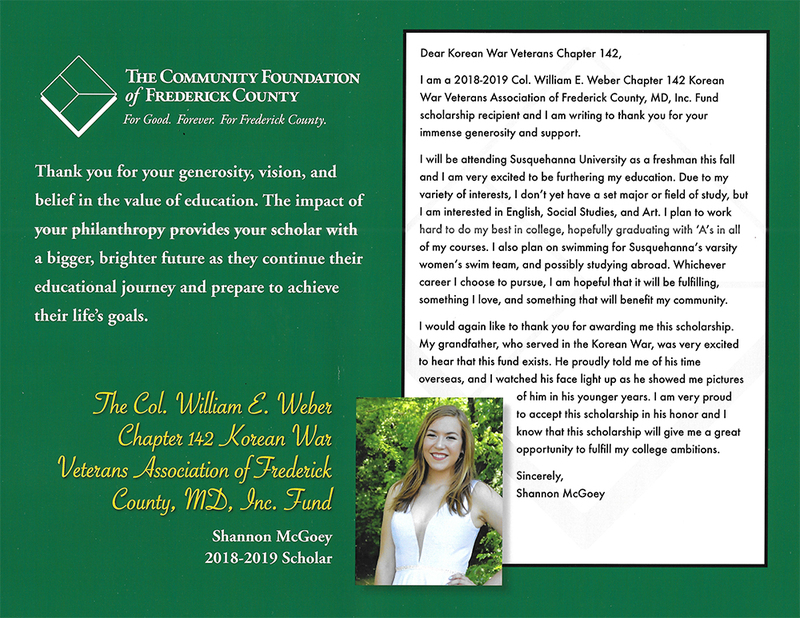 The 2018/2019 school year scholarships went to Shannon McGoey and Samuel Melcher, who both sent heart-felt thank you letters recognizing the Chapter's commitment to education. 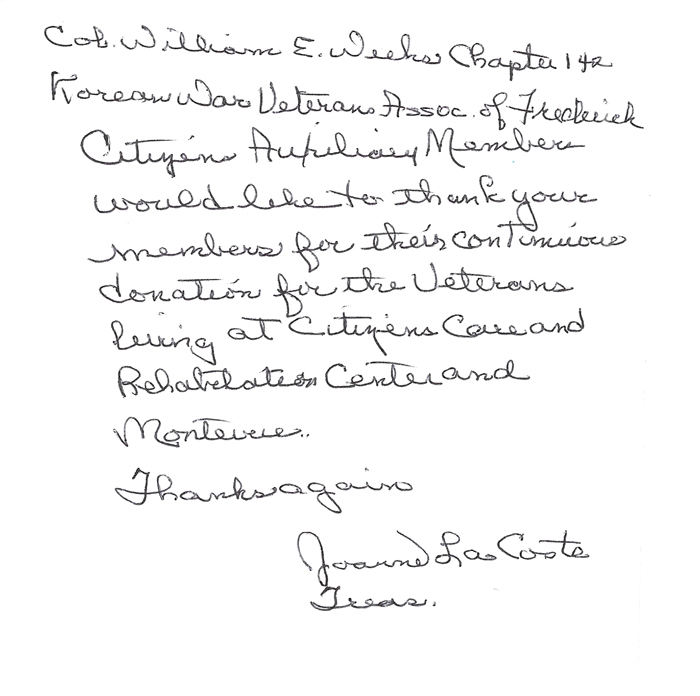 Citizens/Montevue Care and Rehabilitation Center recognized the support and dedication Chapter 142 provides with a warm Thank You note. of Federick County, MD. 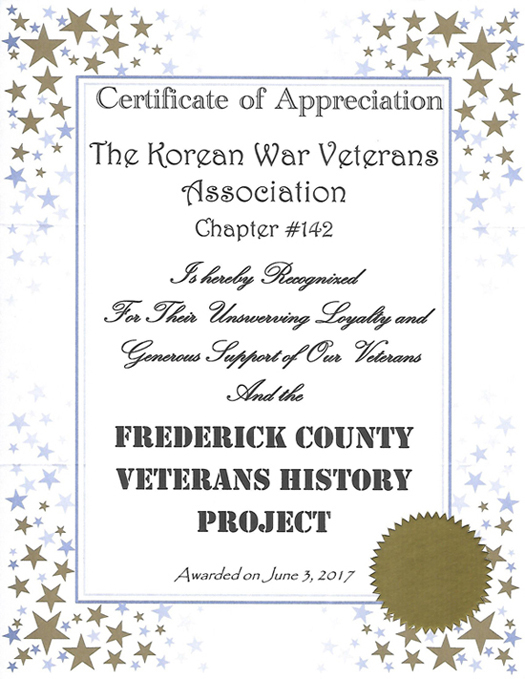 Inc.
Chapter 142 has supported and participated in the Frederick County Veterans History Project (FCVHP) over many years. The FCVHP is a partner in the Library of Congress Veterans History Project, collecting oral stories from veterans, civilian supporters and family members living in the Frederick County, MD region. The collection also includes stories from veterans living elsewhere. The majority of historical records are on video though some are on audio medium. Priscilla Rall is the director of the FCVHP and has interviewed over 100 local veterans, many from our own Chapter. There are write-ups in The Frederick News-Post and The Catoctin Banner about this very important and timely work she is doing. On June 3, 2017, the Chapter was awarded a Certificate of Appreciation for our support of the Project. If you would like to help out, contact Chapter 142 and we can connect you with Priscilla. To see more of what the Veterans History Project records, watch the Vimeo Video below. Frederick County Veterans History Project on Vimeo. 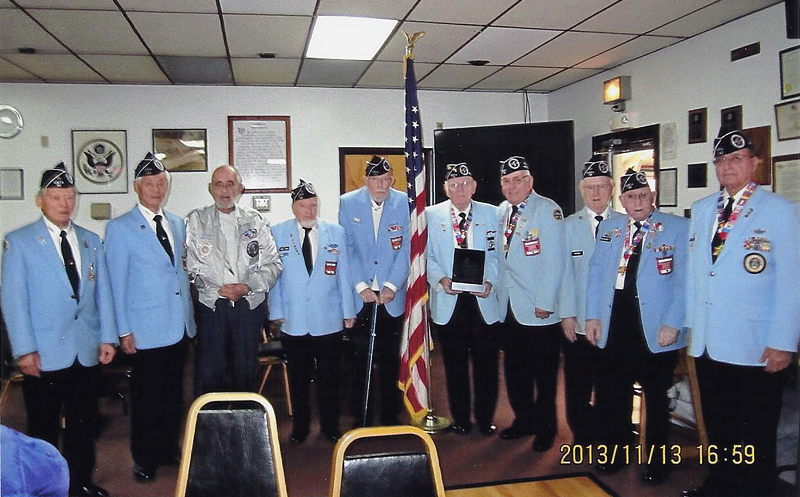 The Chapter provided a Color Guard for the Veterans Day Program at Citizens/Montevue nursing home and assisted living facility on November 11, 2014. After the program, members visited with the veterans in attendance, one of whom, John Routzahn, is a life member of KWVA. 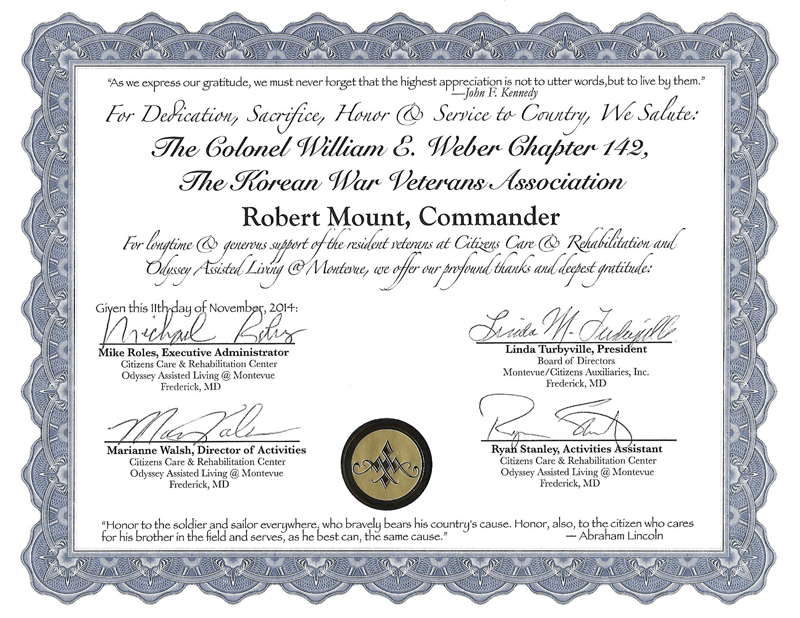 Commander Mount was presented a Certificate of Appreciation for our participation. 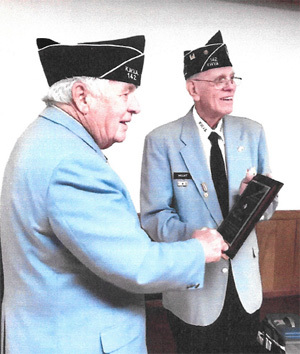 Chapter 142 has provided $2,000 in support of the Veterans Activity fund at the home. Those attending were Tony Malavenda, Chip Chipley, Jack Droneburg, Bob Mount, Ken Davis, Glenn Wienhoff, Ted Carlson and Tony Marra. Wives attending were Irene Malavenda and Rosalie Wienhoff. On October 10th, 1013, the National Unification Advisory Council (NUAC), the South Korean President's forum for establishing and implementing policy towards the democratic and peaceful unification between the North and South, invited two KWVA Chapters to be honored at this event. The two Chapters so honored were Chapter #100 of Northern Virginia, and Chapter #142 of Frederick, Maryland. All invited members were extremely honored to be a part of this memorable ceremony. The guest speakers included The Honorable Charles Rangel (a Purple Heart Korean War Veteran), and The Honorable Gerald E. Connolly, both in the U.S. House of Representatives; Secretary Edward Chow, Maryland Department of Veterans Affairs; and Chapter #142's Colonel William Weber (also a Purple Heart recipient). All presentations were extremely interesting and enlightening to Chapter attendees. The evening was complimented with an exceptionally delicious dinner and the presentation of absolutely one of the most beautiful plaques our Chapters have ever received; the picture below does not come near to giving it the justice it so richly deserves. Members from the Colonel William E. Weber KWVA Chapter #142 in attendance from left to right were Kyutae Chang, Richard Kim, Bill Weber, Wendell Murphy, Marty Goge, Bob Eader, Jim Miller, Reggie Kephart, Tony Malavenda, and Tony Marra. 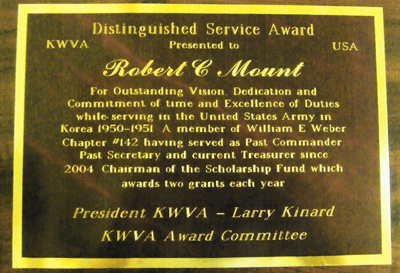 Bob Mount was honored with the Distinguished Service Award from KWVA National President Larry Kinard for his service during the Korean War, as Secretary and Treasurer of Chapter #142 and as Chairman of the Scholarship Fund. Congratulations, Bob! 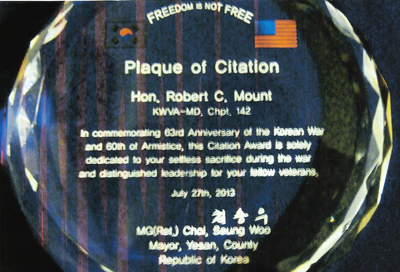 In commemorating 63rd Anniversary of the Korean Was and 60th of Armistice, this Citation Award is solely dedicated to your selfless sacrifice during the war and distinguished leadership for your fellow veterans. Bob Eader was honored with the President's Award from KWVA National President William MacSwain for his exemplary service to the 2011 National Programs conducted in Washington, D.C. Congratulations, Bob! Congratulations to all who have participated! 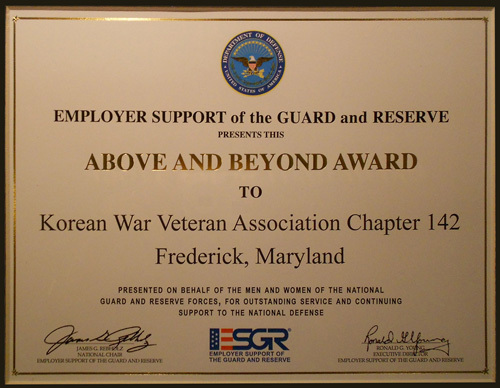 The Employer Support of the Guard and Reserve presented the Above and Beyond Award to Korean War Veterans Association Chapter 142 Frederick, Maryland. Presented on behalf of the men and women of the National Guard and Reserve Forces, for outstanding service and continuing support to the National Defense. We are indeed proud to have received the award.